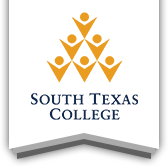 Welcome to the Centers for Learning Excellence at South Texas College. Promoting student success requires collaboration with faculty. We hope you find some time to help us become an invaluable resource for your students. Below are CLE services that instructors can utilize and contribute to. You are able to request presentations & tours, incorporate supplemental instruction into your courses, refer students from your class to apply for a job as a tutor or supplemental instruction leader, as well as request test proctoring for students who need to make-up a missed test. If you have any questions about the information below, please feel free to contact the CLE Coordinator at your campus. The CLE offers many opportunities to work with faculty in support of student success. We look forward to working with all faculty to help make the CLE an important resource for every student. You can refer a student to receive tutoring or academic coaching or to potentially become a tutor or Supplemental Instruction Leader. The student will be contacted by a CLE staff member to follow up on your referral. Submit a request for one of our frequent presentations below or contact CLE staff if you wish to request a different type of presentation. A brief in-class presentation to inform students of the CLE’s services, locations, and hours of operation. A walk-through of the CLE facilities that includes a brief introduction on how to utilize different CLE services. A combination of the “CLE services presentation” and the “CLE tour” where CLE services are presented to the class followed by a walk-through of the CLE facilities and a brief introduction on how to utilize services. An in-class presentation for students on how to access and utilize online tutoring services available to STC students. An in-class presentation covering the Academic Coaching services available to STC students. A workshop focused on specific learning strategies, such as time management or note-taking skills. Full topic list available in form. A TSI workshop focused on a specific test topics for Reading, Writing, and Math, such as Main Idea, Sentence Structure, or Graphing. Full topic list available in form. If any faculty member would like to contribute to the growth and improvement of CLE services, we encourage you to submit a request. Request presentations for faculty or staff to learn about CLE services, such as tutoring, Supplemental Instruction, and Academic Coaching. Learn how CLE can support your classes and services. Request for in-class tutoring, Supplemental Instruction, or Academic Coaching support for your classes. Perform college service hours or offer to host office hours at the CLE. Work in partnership on a conference proposal or presentation with a CLE staff member or tutor. Team up with CLE staff on a research project or graduate level study. 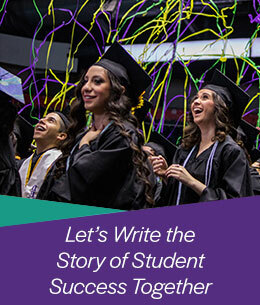 Supplemental Instruction (SI) is an academic assistance program that utilizes peer-assisted collaboration, group study, and interaction for assisting students in "traditionally difficult" courses, which have at least a 30% Fail/Withdraw rate. Students meet with their SI Leader after class lecture to review course material through the use of a variety of study techniques. To best serve students, Supplemental Instruction should be viewed as one option to develop learning. SI is not meant to replace attending class, reading textbooks, or completing other course assignments. Like tutoring, learning communities, or instructor office hours, SI sessions are just one of the available resources that promote student success. What have students said about SI? The beneficial aspect of having an SI Leader is having the opportunity to ask about what you don't understand. The Leader gives great advice and tips about the lesson. The fact that our SI Leader would clearly reinforce the lecture that was given by our instructor truly benefited me when it came to working on my individual assignments. The SI Leader inspired the students to achieve success, believed in them and made time to conduct extra sessions when possible. Our SI Leader was very attentive to the needs of the students and was a good role model. He would encourage students to look for innovative ways of studying. The service request form has a collaboration section where faculty can request Supplemental Instruction for their course. Click on the button to be directed to the service request form page. We provide individual, make-up testing opportunities for South Texas College students. Since seats are limited, faculty should test students first and then arrange proctoring through the CLE for students to make up an exam. Exam procedures are outlined below. Faculty must submit an online Test Proctoring Request Form at least 24 hours before the exam start date. Required materials (exam, Blackboard password, formula sheet, periodic table, etc.) should be attached to the request or delivered by the faculty to the CLE. Faculty will receive a confirmation email from CLE staff if the request is approved. Faculty will be notified by the CLE director if the request is denied. Once a request is approved and the exam is on file, students can contact the CLE to schedule their proctoring appointment. Completed exams must be picked up by faculty at the campus CLE where the exam was proctored. Unclaimed exams and exams printed for students who failed to show will be sent to records retention if not picked up by the end of the semester. If you encounter difficulties while submitting an online test proctoring request, please contact the CLE Coordinator at the campus where the exam will be proctored.